The search results taunt me. I give up. I just can’t live up to all the homeschool hype. The mummified chicken. The salt dough maps. The notebooking page for a third grader that has more lines than my kid could fill in a month. He burst into tears over that stupid notebooking page (no, I wasn’t requiring him to write on every line) and honestly, I felt like crying with him. Because homeschooling shouldn’t be this difficult. Because I am supposed to enjoy staying home with my kids each day. Because it’s all my own fault. This isn’t a diatribe against the evils of Pinterest. I don’t scorn the baker when I eat the entire pan of brownies. 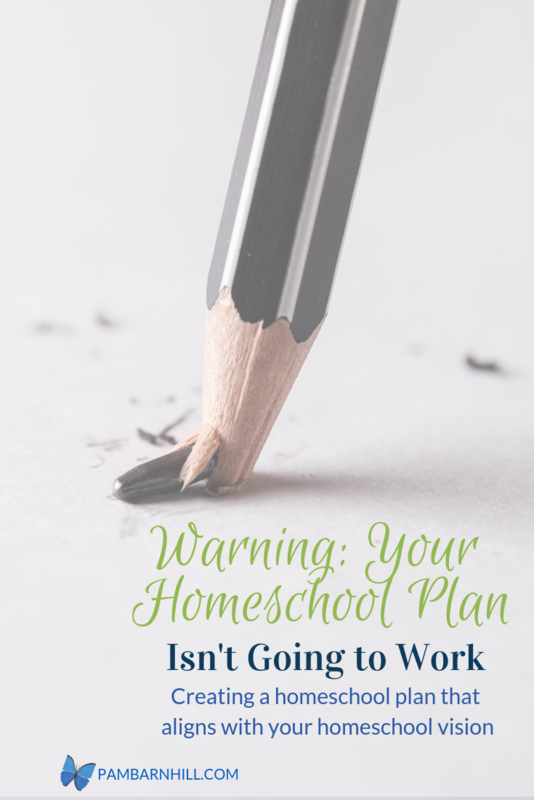 Instead, this is a manifesto against the real culprit — my response to homeschool peer pressure. My response is to feel less — when I am not. 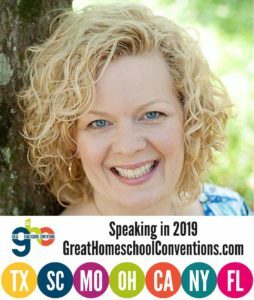 My response is to do dumb things that ruin relationships — which is the most important part of homeschooling. My response is to set myself up for failure again and again because I plan for Pinterest (or the neighbors, or the grandparents, or the supermom at co-op) and not the kids right there in front of me. What are their needs? What goals should I have for them? 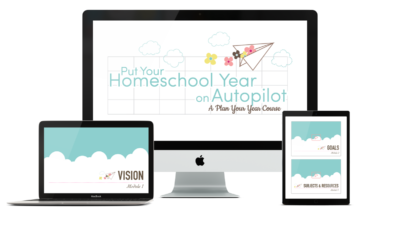 How do those fit into the overall vision my husband and I have for our homeschool? Instead of searching Pinterest, maybe I should do some soul-searching. Rather than idea after idea of meaningless activities, maybe what I really need is an individualized plan of action that works for my family. But for what? 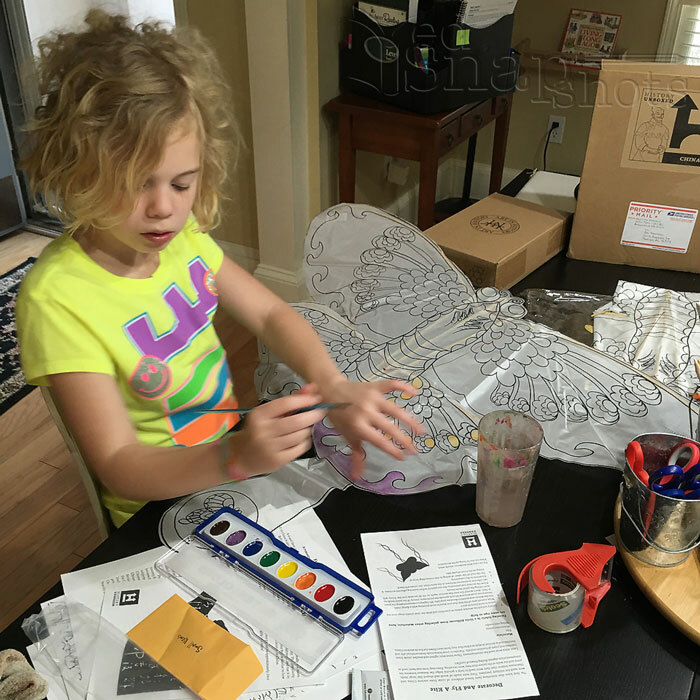 What does an individualized plan even look like in a homeschool? Creating a timeline that allows your kids to learn at their own pace — faster or slower — and not move lock-step with all the other kids their own age. Not purchasing a fourth grader a box with the number four on it only because that is the thing I’m supposed to do. Crafting a thoughtful vision of what I believe a true education is and then aligning my daily activities with that vision. Writing goals for each child that take into account their strengths, weaknesses, and areas where they need to improve this year. Knowing the reason I teach each subject included in my course of study. Taking into account our family preferences like the eleven-year-old’s love of drawing, my own disdain for glitter, the kid who hates manipulatives, and the one who (gasp) loves worksheets. 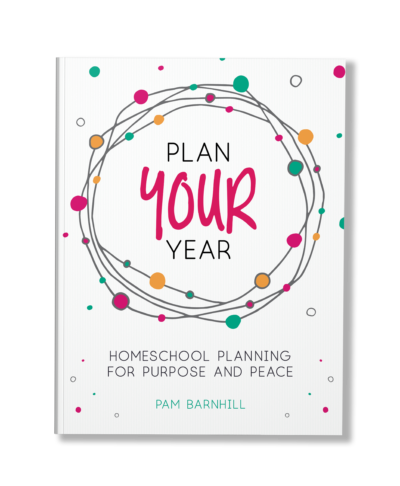 Successful homeschool planning doesn’t begin by searching the internet and making a list of all the things you can do. It begins by searching the faces across the breakfast table and making a list of all the things they need. And a plan based on anything other than that just isn’t going to work. Read more about the most important person to consider when making your plan. (It may not be who you think it is.) Better yet: sign up for your free planning pages so you can get helpful posts like these in your inbox. Well said, Pam! It is so challenging not to “give in” to what we perceive as the norm. 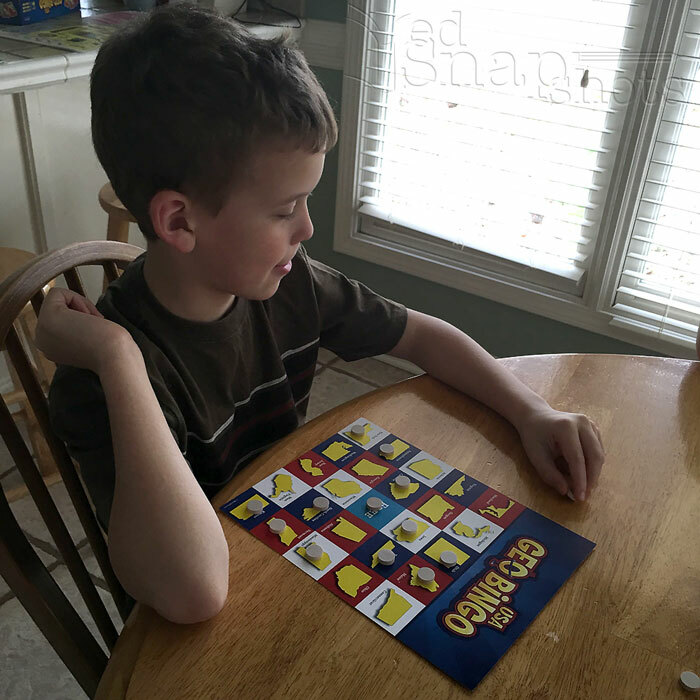 Please, can you write a post about the educational games you play with your children. I have big kids and little kids with a gap in between, and other than Candyland, I am never sure what games to try playing with my littles. I hope you don’t mind me chiming in, but we have a few games we like to play. We’ve got a little bit of a mixed bag when it comes to games. My nine year old and I play card games like different variations of War. Board games we like to play are Sum Swamp, Snug as a Bug in a Rug (more for younglings), Connect 4, Candy Land, and Chutes and Ladders. They really like Chutes and Ladders and Snug as a Bug in a Rug. My nine year old LOVES playing War.There’s an ebook that has a bunch of ideas for card games called Acing Math. I don’t remember where I got it, but I’m pretty sure it’s free. Thanks so much for mentioning the Acing Math. I just downloaded the free ebook. I have decided to play a lot of math games with my daughter this year and this will be great. She also loves playing war. Thanks again! 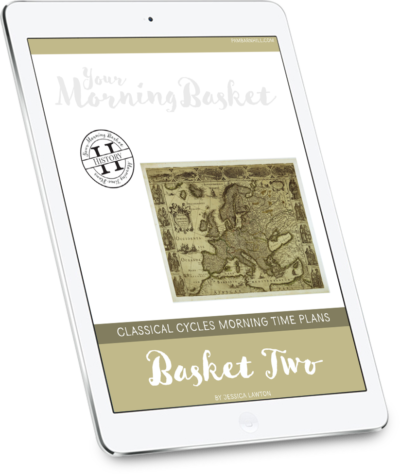 Melissa — Thanks so much for sharing this great resource! as a homeschool parent we love to use scrabble for spelling, also quiddler, and we use monopoly for math skills and money management. my kids are 12, 8, and 4 and they all play. it is a great way for them to fun learn and i dont have to fight to get them to do it! Oh yes! I love this one. And what is your sweet baby painting? it looks like something that one of my kids would love! Love this Pam! Thank you for writing it. I need to remember this even today when we are crawling to the finish line! Yay! Another kids who loves worksheets! I had just come to the conclusion that worksheets are ok for my family. It just works for my oldest (and I remember liking worksheets in grade school.) I thought I was only one! Thank you Pam! Very well said and i reminder i desperately needed. Thank you for this comment. I know it’s the most central point in homeschooling and it’s so easy to become distracted and start looking around and listening to other people. It starts with listening to those at the breakfast table? and knowing them well. I needed that reminder. 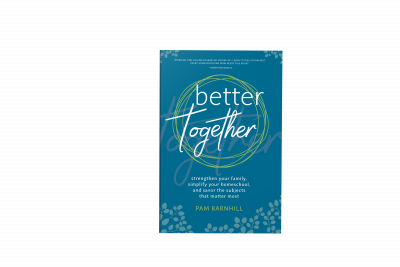 Excellent reminders Pam! And oh so true. I always feel more fulfilled and a lot less “guilty” when I ask the why behind something we are doing. Life is short and the time we have with our children in our home is even shorter. I want to have as enriching an experience with my kids as possible. (And it generally does not involve me spending HOURS copying, printing, cutting and creating a super cute calendar I found on Pinterest… Yes, sad but true. I can buy a cute calendar from Amazon and still teach the days of the week! Sigh… the things we do…) Thank you for your grounding inspiration! Or use the calendar the church gives you!! I tried the whole calendar thing for about 2 seconds when my oldest was preschool age. We don’t do anything with a calendar other that what Life of Fred or our math curriculum mentions. As soon as they get about first grade and get excited about an event they learn it all on their own. I vote to save that time for something else. Thanks for this, Pam. My kids are presently reading Ripley’s Believe or Not books from the local library, and I am fighting with myself not to make them finish their Math instead. I forgot how much they love to read ANYTHING, and I will need to put that in my plan…even for today. Math can wait. Pam where did you get those beautiful watercolor kites? Great post! A good friend of mine bomeschools as well, once I asked her about switching a curriculum and she asked me if what I was using was insufficient, when i answered that it was good ad my kids liked it, she asked why would i deviate from what is working. That has stuck with me. I am easily swayed toward things and their ‘potential’, so my mantra has been ‘does this work for us’. If the answer is yes, I stop looking. If the answer is no, then i give myself free reign to look around for something else. Yes! I love this a thousand times!! Im far too guilty of this! I have 5 kids; 17,11,9,7 and 2. I try so hard to fit some kind of mold i think i should be in. I try to do crafts and games and activities and all the subjects, when really I dont even know why. My kids dont like school, its a daily fight, and try to hurry through it so they can go play. It stresses us all out. Im not entirely sure how to fix it. How do you cover everything they should know without being glued to the table all day? 3 of mine also have autism, the main reason we homeschool, but sometimes i feel like its just as hard here as it would be in public school ? Totally! Besides, with the variation of levels, how do I know that the box with the big 4 is not too easy or really challenging for a my 10 yr.? Pam, THANK YOU for these reminders. God is using you to help direct me in our planning! Bless you and keep up the great work! Thank you for this “real” post! I was spending so much time looking for things (thousands) on Pinterest and only actually using a handful of them. No more! I stopped that a while ago. We will have an 8 year old and 4 year old this year. I am changing our curriculum this year and taking your advice. This year is going to be fun learning! Nothing wrong with that! I’m also taking Colleen’s idea to have popcorn and cocoa once a week during school. My kids were super excited when I told them about the changes. I love your no nonsense approach! We’re super excited to begin school once again! Thank you! Hi Pam. I’m new to this and I’ve seen people using the term “loop,” including in your work. I’m not familiar with this as a planning/teaching term. Can you please explain it? Thank you.